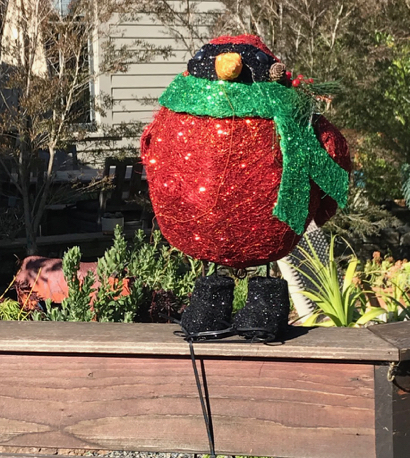 The rain on Christmas Eve cleared the air and dusted off the streets in Menlo Park, giving way to sunny skies on Christmas morning. There was an abundance of cheer displayed by the many, many walkers and joggers on Bay Laurel shortly after noon today. Call it a bushel of hometown friendliness on a sparkling beautiful day.